Get the skills you need to finally start working at home this year! 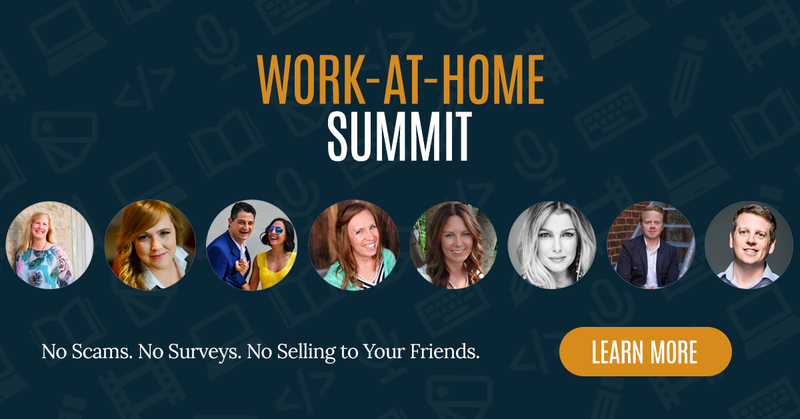 Did you know that it doesn’t really take a whole lot to make a legitimate living working from home? All it takes is The Right Skills + The Right Actions to create results — and the work-from-home life that you’ve always wanted. And there is good reason to believe her. Caitlin had great intentions of paying off the debt from her wedding and her career when she landed a “stable” job. But then the unexpected happened: In August 2011, her 3 bosses called her in to the conference room at her work to fire her. Yet they didn’t just fire her… they hurled all manner of insults at her. “You’re a pig,” said one boss. “You’ll die alone,” said another. I know… I almost couldn’t believe it myself, but I know Caitlin and I know how much she’s been through, and this story is 100% true. Sadly, “stable” jobs are often an illusion because you never know when you might get fired — and in many cases for reasons outside of your control… poor revenues, new management, corporate decisions and refocusing, etc. And like Caitlin, you might never see it coming. Let’s just say, she never returned to her $24,000-per-year job after that. Instead, building on her skills and taking the right actions, Caitlin turned her side hustle as a proofreader into her primary income — and beyond. In fact — get this — her proofreading side hustle grew into a multimillion-dollar media company she runs from home with the help of 25+ virtual team members. That business now generates $200,000+ per month. Thing is, Caitlin is nobody special. She still puts her pants on the same way I do. She started at rock bottom after getting fired. 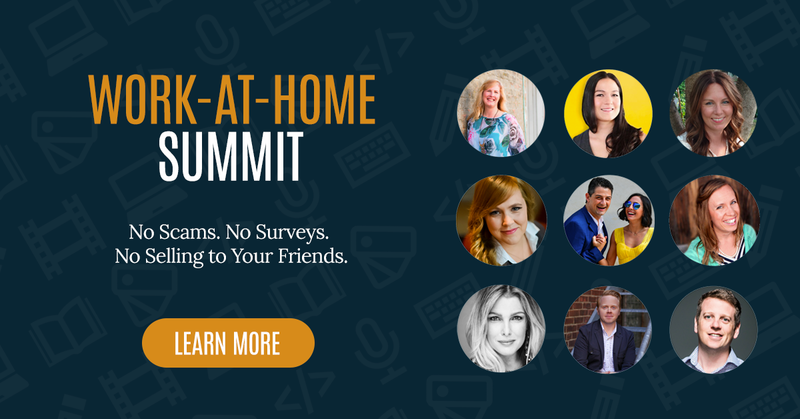 Over 6 action-packed days, you’ll learn directly from Caitlin and her dream team of 45+ experts on how combining The Right Skills + The Right Actions can make your work-at-home dream a reality THIS year. The cost? Zero dollars and zero cents.